Located in Southern Colorado. Pueblo is ideally situated at the crossroads of two major highways. Our hotel offers convenient access from I-25 or Hwy 50. 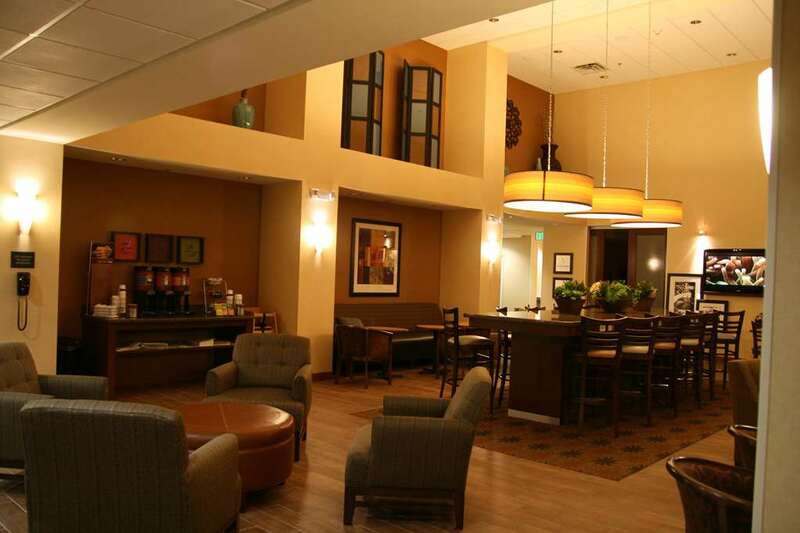 Our location in North Pueblo offers many dining shopping and area attractions within a few minutes of the hotel. Pueblo is a city with a rich history which includes attractions such as the Historic Arkansas Riverwalk Colorado State Fair and Lake Pueblo State Park. The Hampton Inn and Suites Pueblo CO hotel offers a variety of room types including king and double queen suites. Our hotel provides an indoor pool spa fitness center guest laundry and complimentary hot breakfast every day. All of our rooms are equipped with microwaves and refrigerators. The Hampton Inn and Suites provides a full compliment of business services such as 24 hour business center and free high speed internet in all rooms and public areas. We also have two meeting rooms with audio visual and catering services available that can accommodate up to 120.